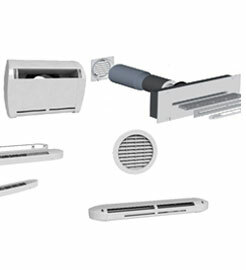 Multiple types of air extraction /inlet vents can be used, depending on the type of plant and the specific applications . 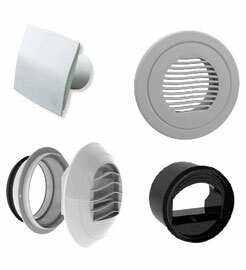 The vents listed are also available in hygro-adjustable version thanks to an internal membrane sensitive to changes in humidity that regulates the flow. 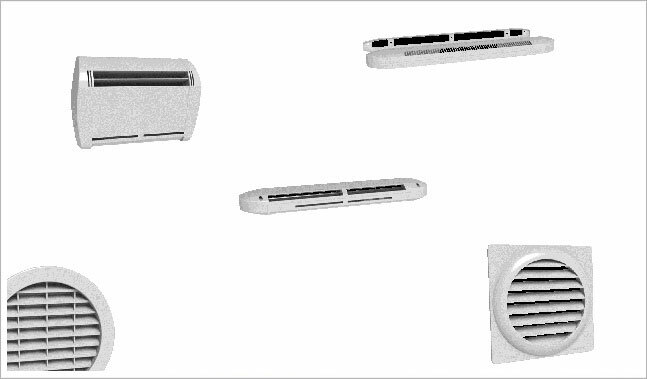 The terminals of the channels of air extraction/Inlet, are equipped with plastic fittings with self-locking flaps for fixing to plasterboard ceilings. In the self-regulating systems, the flow rate, that are in individual rooms, is controlled by flow regulators made of plastic. 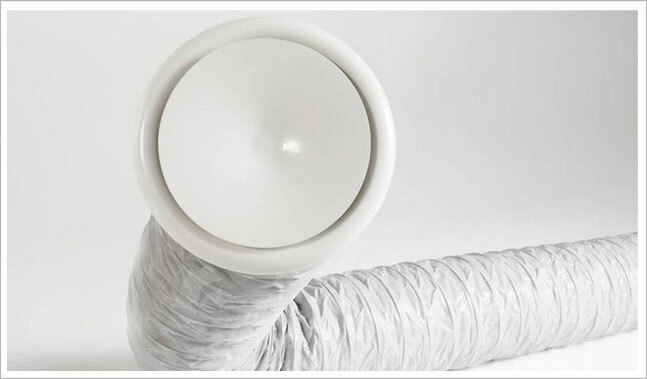 The regulators must be placed near the vents inside the single tube with capacities from 15/30/45/60 cm / h for residential installations with pipes Ø 80. Larger diameter flow regulators are used in ducting where higher flow rates are required. 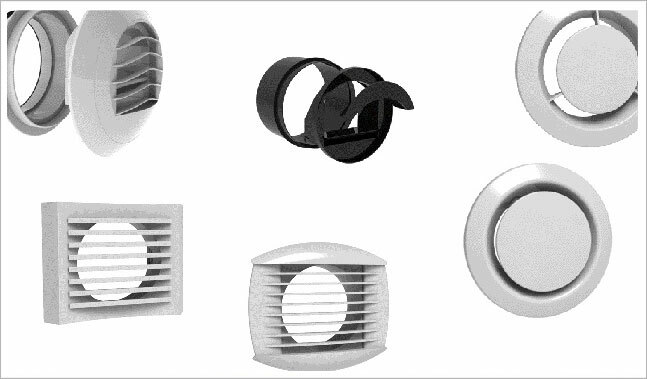 For plants with single flow, the air intake occurs by vacuum through the air inlets that are placed in the fixtures or on the wall. This type of inlet can be self-adjusting or hygro-adjustable, in various capacities and models, to meet every specific project needs.